Chittoor’s rich cultural heritage and traditions, the highly respected temples of various Gods and Goddesses are depicted with their ancient history. The ever growing education is another core area highlighted covering almost all the Schools, Colleges and Professional Colleges. The vast tourism industry and many such activities are brought forward which were relatively unknown to the people of the world so far. The legends and many great personalities who belong to this heavenly place is also given their due place and respect. On the whole the site provides complete information about Chittoor district. The history of Chittoor district, which was carved out in 1905 from then Cuddapah, Nellore and North Arcot districts, has been shaped by the ups and downs of several Dravidian kingdoms. It was a British military post until 1884. The Kurumbas, better known for their cruelty and cantankerous nature, were among the district’s early settlers. It is believed that several rulers belonging to the race, despite being powerful, found it difficult to hold the reins of administration for long due to their antagonistic attitude, internal strife and dissensions. After Komandu Kurumba Prabhu was chosen as the first King of the Pallava dynasty, he divided the region into 24 divisions (kottams) and also built a fort in each of the kottams. In the 8th and 9th centuries, the Cholas subdued the Kurumba dynasty. Still, the eastern parts of the Telangana were under the grip of the Yadava dynasty, which was represented by people belonging to the Kurumba race. Narayanavanam was one of their capitals, while Tirupati and Chandragiri were the other important towns in their territories. In the 11th century, the Ballal dynasty ruled over parts of present-day Tamil Nadu, Carnatic, Malabar as also parts of Telangana. Towards the end of the 13th century, the Vijayanagar dynasty rose to prominence, following the decimation of the Ballal dynasty by two Telangana Princes named Bukkaraya and Harihararaya. They tightened their hold with the aid of Madhava Vidyaranya Swamy, who later became the Prime Minister. When the 14th Raja Narasingaraya was ruling, the Rayas expanded their sway over a wide area, including the Carnatic. His son Krishnadevaraya further extended the territories and brought the whole of the Tamil-speaking region under his control. During this time, some Mughal refugees, who had fled to the Deccan due to cruelty and oppression of Mohammad Bin Tughlak, founded the Bahmani kingdom. After the death of Hasan Gangu, the Bahmani Kingdom was split into five different kingdoms. These five Bahmani chieftains made a common cause to destroy the Vijayanagar dynasty. On January 23, 1565, they fought one of the most eventful battles at Tallikota, where the Vijayanagar kingdom was overpowered. Subsequently, the kingdom fell into the hands of some members of the late royal family. Some of the principal officers of the government continued to rule different territories under the titles of zamindars and poligars. A relative of the deceased Rajah then took the reins of the Vijayanagar kingdom. He sent an invitation to Mr. Day, Superintendent of the East India Company’s factory at Armegaum, to settle within his dominion that extended to the coast. The company accepted the offer. In 1640, a small strip of land on the coast was given in grant — the first ever possessed by the British in India. To stave off possible attacks from restless and turbulent princes in the neighbourhood, a fort was built subsequently and named Fort St. George. One Malloji Bhonsle, a captain of the cavalry, purchased certain Jagirs at Poona and other places from the Sultan of Ahmadnagar in early 17th century. His son, Shahji, found it convenient to offer his services to the Sultan of Bijapur, who had led several expeditions to the Carnatic. As a result, he was rewarded with the grant of jagirs in the vicinity of present-day Bangalore. His son, Shivaji, conceived a daring expedition into the south and entered into a treaty with the Sultan of Golconda, under which the latter agreed to guard the former’s northern possessions. In 1676, Shivaji entered the Carnatic by the Kallur Pass in the district. In 1686, Mughal Emperor Aurangazeb annihilated the monarchy of Bijapur. Shivaji died before this expedition from Delhi. His son, Shambaji, was captured and put to death by the Emperor. The emperor eventually abandoned his designs and returned to Delhi, where he died in 1707. In 1713, Chinkilij Khan was made Subhedar of the Deccan. He went on to receive the titles of Asaf Jah and Nizam-ul-Mulk or Regulator of the State. Within a year of his nomination, the Nizam was removed from his position, and Hussain Ali, who had acquired great power in the Emperor’s Court, was sent to supplant him. The Marattas, besides Daud Khan (The Governor of Gujarat), were prompted by the Emperor to harass the new Viceroy. Hussain Ali was obliged to purchase their goodwill and he assigned to the Marattas the right to collect “the fourth and the tenth of the revenues of the six divisions of the Deccan and of the tributary states of Tanjore, Mysore and Trichinopoly. After Dost Ali took the reins of administration in the province, he was called upon to defend himself in 1740 against aggression from the Marattas under General Raghoji Bhonsle, who had acquired great power in Berar. Dost Ali advanced to oppose the enemy that was trying to descend by the Kallur Pass. The Maratta leader succeeded in corrupting one of the Hindu officers of the Nawab’s army and managed to pass to the rear of the defences under the cover of darkness. Raghoji consented to quit the Carnatic on payment of one year’s revenue — a sum equivalent to Rs 1 crore then. The Maratta army retired and Dost Ali’s son assumed the title of Nawab. The affairs in the Carnatic remained unsatisfactory for quite some time. The Nizam, after a successful march with a large army on the southern capital, confirmed the youthful Muhammad Ali as Nawab and nominated one Anwaruddin to be his guardian. After the assassination of Muhammad Ali by a Pathan soldier, Anwaruddin was elevated to the throne. In 1760, the war between the French and the English almost ended, with the defeat of the French. It left the French without a settlement in the Carnatic and completely dashed their hopes of establishing an empire in the country. During this time, Tirupati was a repository of huge revenues, mainly from the offerings made to its celebrated shrine dedicated to Lord Venkateswara. The Nawabs of Carnatic were receiving Rs 2 lakhs from the place. This hefty sum was assigned to the English in lieu of their assistance. There were several other fights over the revenue from the temple between 1753 and 1759, after which the Maharattas, under Gopal Rao, marched to Tirupati, ascended the hill and took possession of the Pagoda. They hoped to bag the income during the festival season. Later, Narayana Sastry, with the assistance of the Poligar of Karakambadi on the east of the Tirupati range, ascended the hills and re-occupied the Pagoda. The English forces tried to save the Maratta troops in vain. Major Calliaud, who commanded the English forces, later attacked the stronghold of Karakambadi. The Poligar was killed and the Marattas and their allies were discouraged. Narayana Sastry retreated with his remaining force. In 1758, the Nizam temporarily ceded the districts of the Northern Circars, but refused permanent grant to them. Under a fresh treaty with the Nizam in 1768 the English consented to keep the Northern Circars under the Nizam, but chose to conquer the Carnatic Balaghat. They held it, subject to the payment of tribute to the Nizam and ‘chout’ to the Marattas. The English contingent was deported to assist the Hyderabad army whenever the Nizam requisitioned such assistance. ‘Armed’ with this agreement, Col. Campbell occupied the fort of Venkatagiri. From there, a detachment was sent to open up the Nayakkaneri Ghat and to reduce Paddanaididurg. Under a fresh treaty signed on July 12, 1792, the British government decided to keep a military establishment, towards the maintenance of which the Nawab of Carnatic was asked to pay Rs 9 lakh annually. Under the treaty of 1792, the Nizam and the Peshwa bound themselves to furnish troops for any war provoked by their common enemy. In 1799 (4th Mysore war) both the Nizam and the Peshwa were directed to fulfill their obligations under the treaty. The Nizam readily acceded to the demand, while the Marattas refused to co-operate. The districts thus concurred were shared between the Nizam and the Company. Umdat-ul-Umara, son of Mohammad Ali, contrary to the terms of the treaty of 1792, assigned to his creditors the revenues of large portions of Carnatic and these unscrupulous creditors forced ryots to pay usurious assessments. On July 31, 1801, Azim-ul-Umara, a brother of Umdat-ul-Umara, handed over the whole of his authority over the Carnatic and accepted a stipendiary allowance of 1/5 of its estimated revenues for the support of himself and his family. This was the last step by which various portions of the territory, presently comprising part of Chittoor district, were acquired. There were thus 10 Poligars in the territory, forming a large portion of Chittoor district, who were paying tribute to the Government viz., Banagari, Thumba, Naraganti, Pullur, Gudipati, Mogarala, Pakala, Yedaragunta, Pulicherla and Kallur. 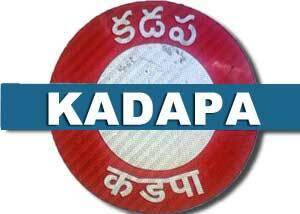 They were authorised to collect fees (kavali) from the villages within the ranges. In the year 1802, Stratton, the Collector of North Arcot, raised their tributes to sums that he considered were adequate to their resources and assumed the management of the police throughout his district. The poligars declined to pay the enhanced peshkash, fell into arrears and began to indulge in plunder and rapine. Then the Madras Government directed Cockburn, the successor to Stratton, to resume the whole of the lands. On July 6, 1804 a battalion was asked to march to Chittoor to enforce the order. On July 31st, Cockburn wanted Col.Darly to take measures for the assumption of the palayams of Kallur, Pulicherla, Bangari, Yedaragunta, Pullur and Thumba, as the proprietors of these estates did not accept the terms of settlement proposed to them. The Poligars, with the help of other insurgents, then pillaged villages. Some of the Mogarala and Pakala men were so ruthless in these operations that it was found necessary to protect both lower and upper Tirupati with strong forces of sepoys. On September 22, 1804, the government appointed a commission to settle the affairs by peaceful means. Three members of the commission reached Chittoor on October 6th and directed that all measures that might affect the Poligars should be suspended. The faithful Poligar of Gudipati was the first to attend the Commissioner’s meeting and was followed by those of Naraganti, Pullur, Yedaragunta, Kallur and finally Thumba. They were called upon to sign an agreement, binding themselves to several terms and conditions. As some of the Poligars did not respond to the attempts at conciliation, the government deemed it expedient to resort to more active measures. The Poligar of Yedaragunta, the most daring and desperate among the ‘insurgents’, was defeated by Captain Little, captured and hanged. On February 8, 1805, the Collector was able to report to the government that the Chittoor palayams had at length been subdued. The Pakala, Mogarala, Pullur and Yedaragunta palayams were declared forfeited. Three surviving chiefs were ordered to reside in Madras. The others were granted an allowance of 18 per cent upon the revenues of their estates for a specified period. 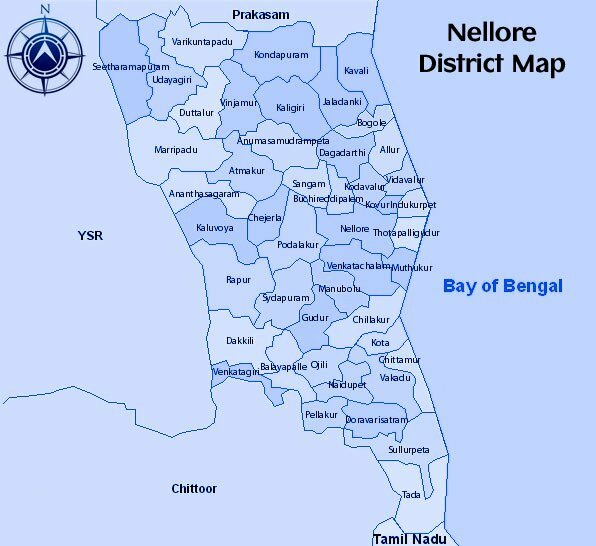 The Mutiny of 1806, which was the only other major historical event in the 19th century in North Arcot, was confined to Vellore and its immediate neighbourhood. It did not have any repercussions on the peaceful conditions in the areas now constituting Chittoor district. Otherwise, the political history of Chittoor district remained uneventful until the commencement of the national struggle for Independence. Many made lasting contributions to the movement.